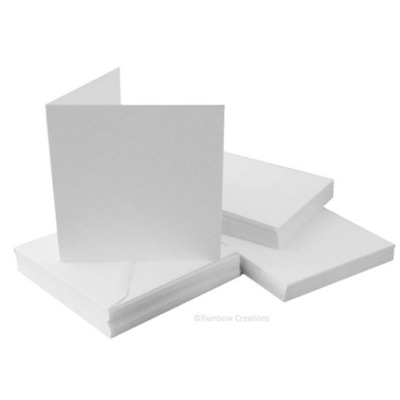 A pack of 50 white 5" x 5" square card blanks with matching envelopes. 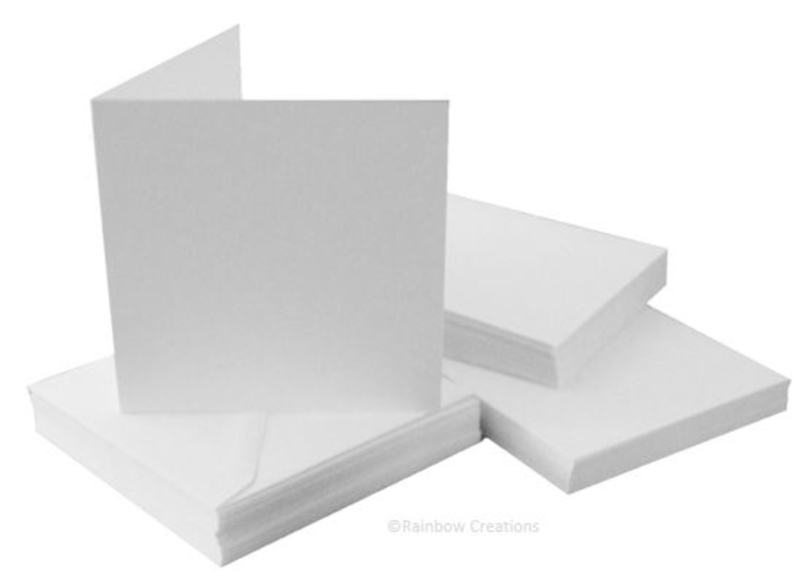 These are precreased sheets of card ready for folding to make a folded card. 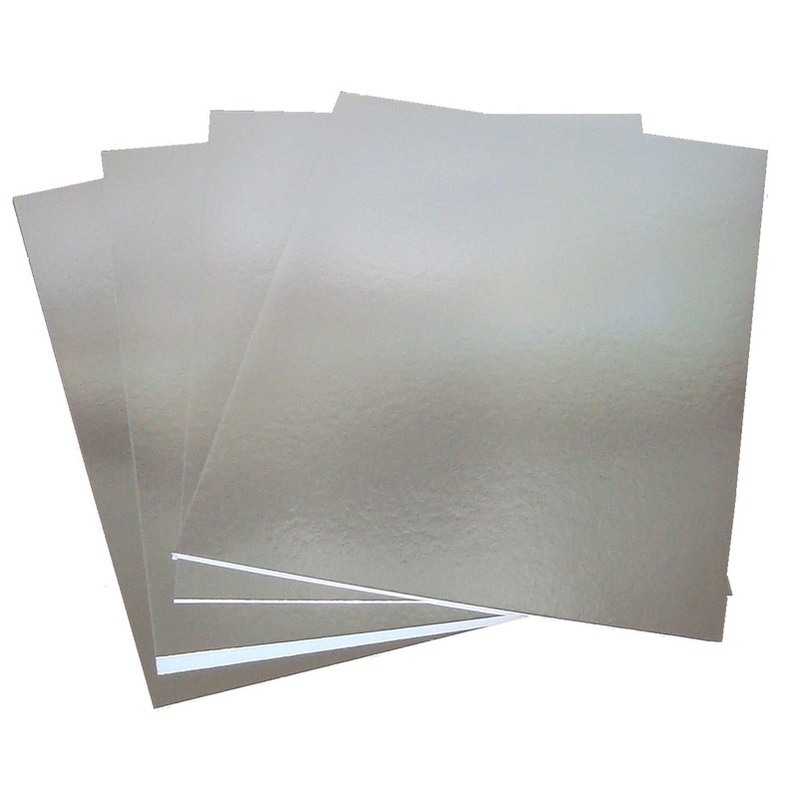 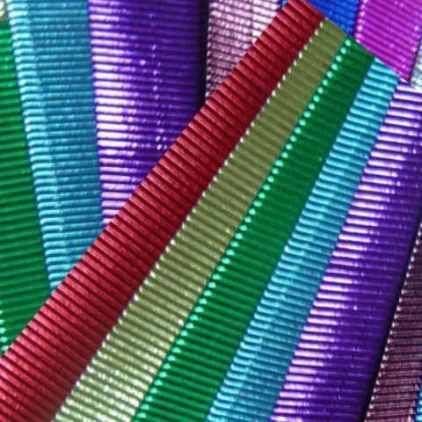 This bulk pack is suitable for schools and groups to use to make handmade cards. 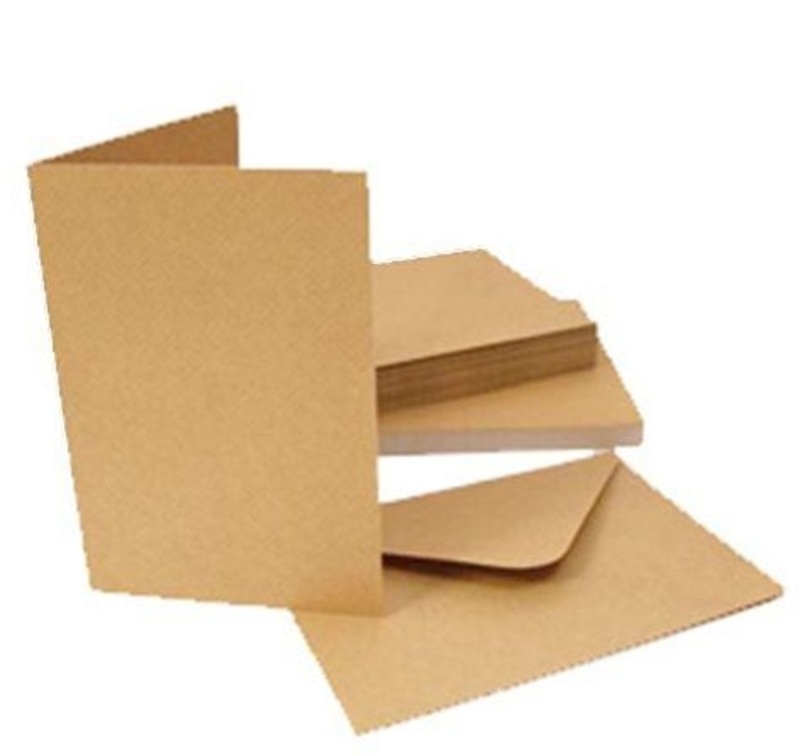 Folded card size: 125 mm x 125 mm.